To the surprise of many, researchers from Washington state have discovered that chemotherapy may not be the paragon of cancer treatment after all. While it has been an industry standard for decades, this new research has shown that chemo drugs may actually cause more cancer to grow, and at a faster rate to boot. The findings, which were published in the journal Nature Medicine, showcased how certain chemotherapy drugs can affect healthy cells by triggering them to release a cancer-feeding protein. This cancer-feeding protein, WNT16B, is produced by healthy cells after they’ve been subjected to chemo, promotes cancer cell growth and proliferation, and can also enhance cancer cell survival. Chemotherapy drugs have also been known to cause DNA damage to healthy cells, which is a long-term detriment that remains persistent even after treatment is completed. You can see where persistent DNA damage and the release of cancer-feeding proteins would be problematic. After all, damaged DNA is what creates cancer in the first place. These two things alone make chemotherapy drugs more like cancer-causing agents, rather than cancer-treating cures. Natural News reports that study co-author, Peter Nelson from the Fred Hutchinson Cancer Research Center in Seattle, said that the WNT16B protein actually interacted with nearby tumor cells and caused them to grow, invade healthy tissue and become resistant to subsequent therapies. In other words, this protein makes tumors bigger, stronger and harder to kill. A landmark study by the SEER group of the National Cancer Institute, found that around 10 percent of all cancers are second cancers (cancers with a different cause than the first cancer), or later primary cancers (primary cancer cells that have traveled elsewhere). One shocking finding of the study revealed that women who received platinum-based chemotherapy drugs for ovarian cancer experienced a 3- to 4-fold increased risk of developing leukemia. Increasing cumulative doses of the therapy could even cause an 8-fold increased risk. In case you’re wondering, an 8-fold increase is equal to an 800 percent increased likelihood of developing leukemia. Radiation therapy used to treat Hodgkin’s disease resulted in a 600 percent increased risk of developing lung cancer. The National Cancer Institute states that when leukemia is a secondary cancer from a platinum-based therapy, like cisplatin or carboplatin, it is more difficult to treat, and tends to lead to a poor outcome. Despite being globally approved, these drugs clearly come with many consequences. What’s worse is that platinum-based therapies are considered “safer” than some other chemotherapy drugs. 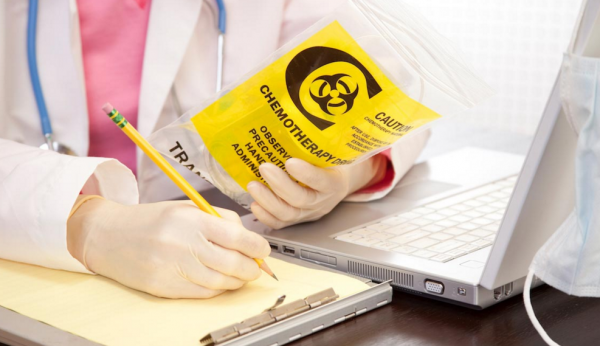 The dangers of chemotherapy are becoming quite clear, but when will we start paying attention? Instead of turning to a different poison, perhaps its time people started turning to natural methods of healing.